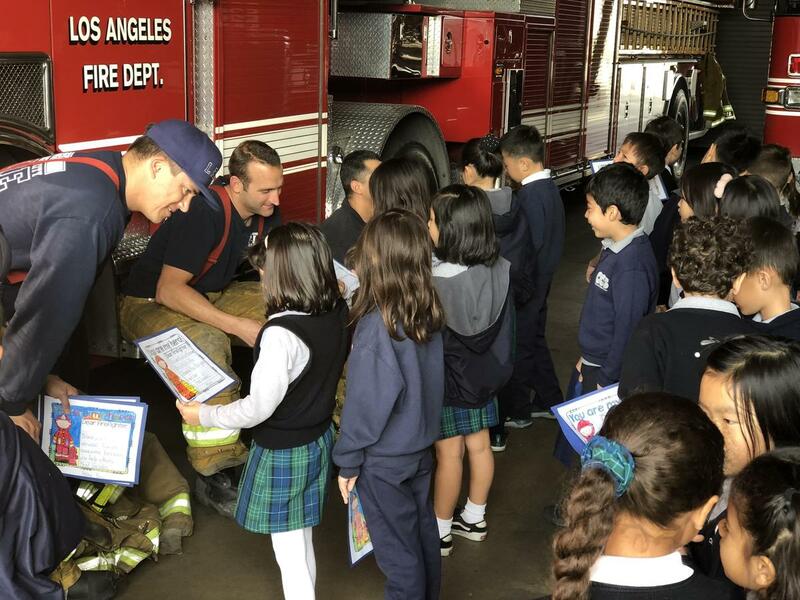 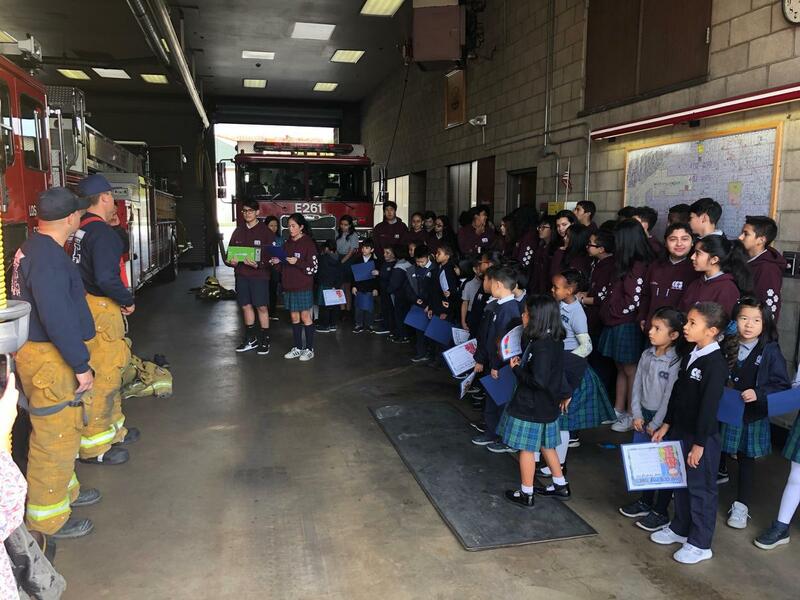 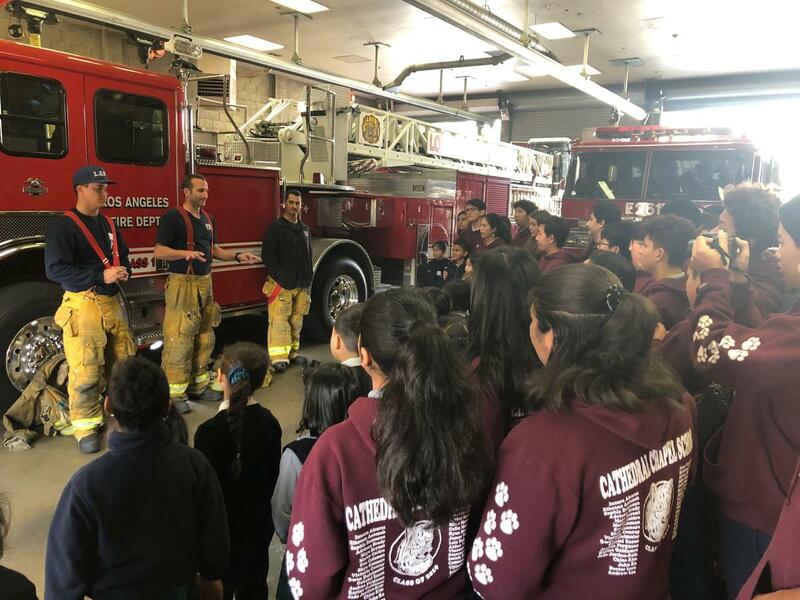 On Tuesday, as part of Catholic School's Week, Chapel first and eighth graders walked to LAFD Fire Station 61 and thanked them for their service to our Miracle Mile Community. 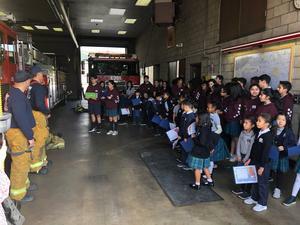 The firefighters were given World's Finest Chocolate, beautiful handmade cards, a Chapel Star award, and a gift certificate for Baskin Robbins ice cream. May God bless our local heroes and keep them safe.